TeacherKit is a free education app to help teachers organize the different things that might be difficult otherwise. It is a way for helping teachers become more digital with the things they do and how they interact with their students. The app is absolutely free and is available on Windows 8 and 8.1. 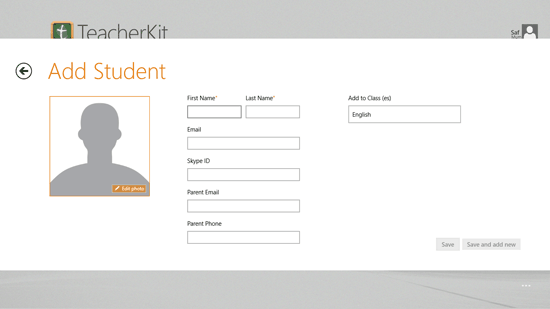 In TeacherKit, you are logged in automatically with the Windows login details like your email and password. On the startup of this education app, you are taken through a tour that shows how you can do different things and what the details are in the app. To add a new class or the subject that you teach, you can click on Add class button on the top left side of the screen. In the details of that class you will have to mention Class Name, Class Code and Description of the class. You can also add an image to the class and click on save. 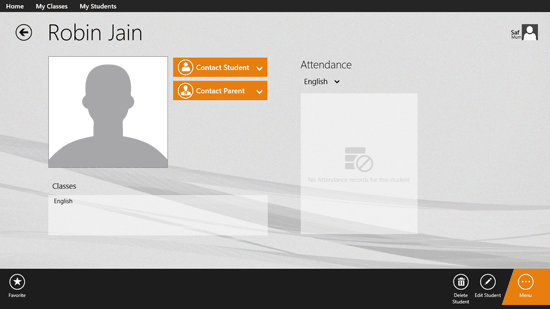 To add a student there are three methods namely click on create new student, import and add from people. If you choose Create new student, then you will have to mention the student’s First name, Last name, Email, Skype ID, Parent Email, Parent Phone, Add to Class(es) and student’s photo. The details can be saved by clicking on Save or Save and add new. When you click on “Save and add new” you can save the details of the recently added student and also add new student’s details without leaving the window for adding the new student. 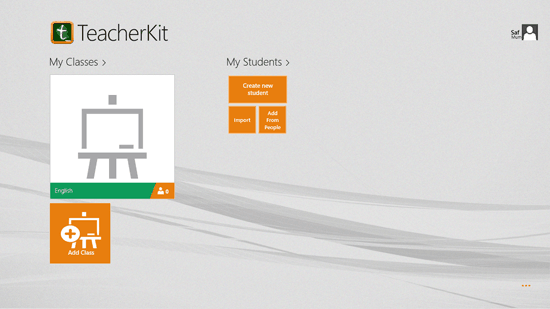 Other educational apps you can try out for Windows 8 are edmodo and mathematics formula apps. For students you will see different details that include the attendance of him or her. By right clicking you can access menu, you can add the student to favorite, delete the student and edit student,. You can also access menu by clicking on the orange dots at the bottom of the app screen. In the classes section you can see which students are taking which of your classes.